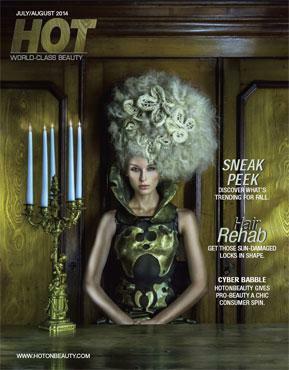 EditorinChief and Creative Director Jeryl E. Spear shares how you can become involved with HotOnBeauty.com. We’ve gone gaga over Scruples White Tea Travel Kit, which includes everything you need to style your hair while on the road or athome. NAHA dazzles with Pantone Fall 2014 Top 10 Colors; Matrix wows with brand-new COLORGRAPHICS; Suretint 4.0 embraces mobile technology. 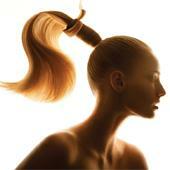 HOT Beauty Editors choose the most breathtaking images for the North American Hairstyling Awards (NAHA) 2014. Fifty years in the making, Dwight Miller, renowned probeauty leader, global innovator and worldclass master stylist, receives NAHA’s Lifetime Achievement Award. Sonya Gettinger and her team at Hollywood Hair are taking their first steps toward creating a NAHAworthy collection. Sherri Jessee, NAHA 2013 Editorial Stylist of the Year and goal-driven beauty professional, shares her secrets for realizing a lifetime of dreams. Must read! Charms, badges and trophies! Meevo has brand-new gaming incentives, based on the revolutionary rules of “gamifi cation.” Social media expert Valorie Reavis shares how you can make the most of review sites. Take a sneak peek at fall beauty trends; check her locks into hair rehab; House of European Hair introduces European virgin hair extensions; show her curls who’s boss; and much more. Luis Alvarez and the Aquage Team present Obscura, an eerie yet beautiful collection shot deep in the woods of Ohio; Nicholas French creates the exquisite Age of Warriors; Jason Kearns discovers the beauty of blackness; more! Master stylist and educator Ruslan Tatyanin of Russia thrills and inspires us with this gorgeous upstyle.